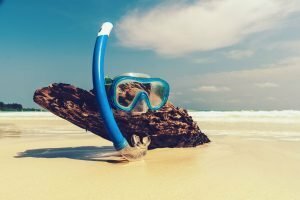 This old school style scuba diving mask will make you feel like a pro as you submerge yourself in your underwater adventures. 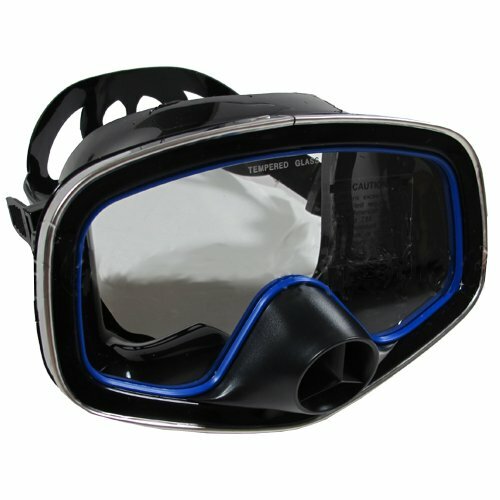 With a vintage design and modern features, this silicon purged mask will improve your scuba diving experience like never before. This free dive, one window silicon purged mask by Scuba Choice is a one piece simple scuba diving mask that has the sole purpose of making you enjoy your scuba diving experience. It doesn’t feature any complicate or intricate design; instead it opts for a more classic feel that is welcomed to both experienced and beginner divers. 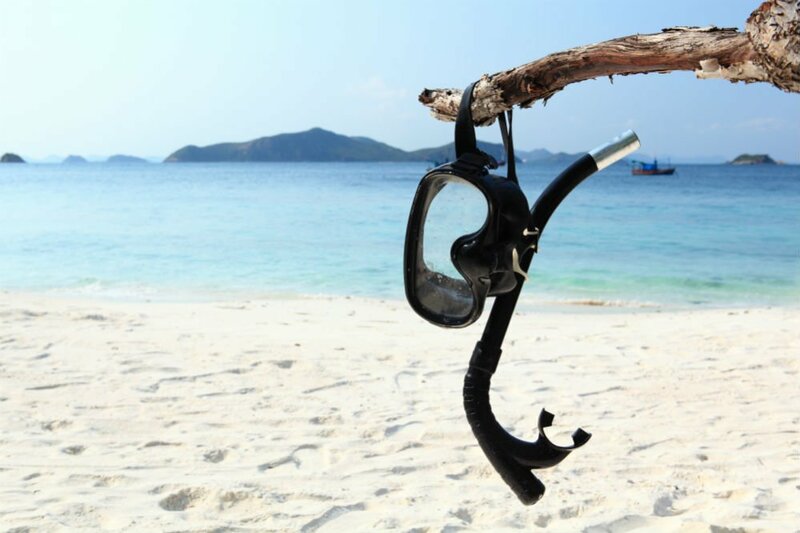 This product is for both beginner and experienced divers that want to have a good time while exploring underwater. 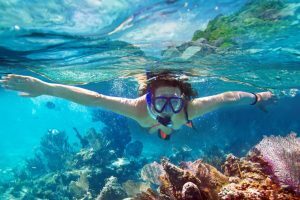 The design is simple, accessible and affordable for anyone who wants to give scuba diving a try and is looking for a mask to start with. 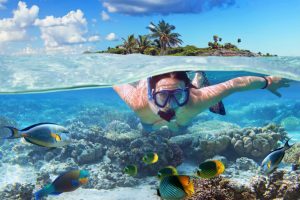 This mask offers a clear and great field of vision for those who also enjoy photography and it can also be a great replacement for swimming goggles since it blocks any type of water of going through your nose without any discomfort. It offers everything you need to get started regardless of experience level so it’s a good deal for all its main functions. All that’s included is a package with your mask inside of it. The packaging isn’t fancy since it’s only to put the mask in it and the mask being a classic old fashion design doesn’t have any parts or accessories. Silicone skirt and adjustable strap. The mask presents a tempered one window single lens for a wide field of vision and a nasal purge valve that doesn’t require your hands to do the water clearance. It presents a long duration thanks to the adjustable strap that also provides a strong and positive seal. It also comes with a soft hypo-allergic silicone skirt for better comfort. This type of old school styling in itself is hard to find so it adds a unique touch to it. The strong seal will keep your eyes dry and it presents little fog for a mask that doesn’t have an anti-fog feature. The seal is also pretty soft and comfortable and you will hardly feel it once it gets wet. 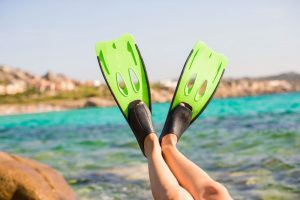 While it might be a personal choice, the black rubber skirt is recommended instead of the clear silicone skirt when diving. It doesn’t present much stability because it doesn’t have any type of rubber surrounding the silicone but it still works fine without it. It might also be susceptible to a bit more leaks because of the very soft and pliable silicone. It’s best to give it at least four pre-dive washes before putting it on. You don’t have to wash it that many times but it’s usually recommended to do so with any new mask to minimize the discomfort of a new object while you get used to it. This mask doesn’t come with an anti-fog feature so it’s best to either purchase a spit spray or just coat the inside of the mask with tooth paste to avoid any sort of fogging and enjoy the clear wide view that the mask does offer. Just like the pre-dive washing, it’s recommended to do this at least four times. A solution for the soft silicone provoking leaks is to not tighten the mask too much because it doesn’t perform well under heavy pressure. 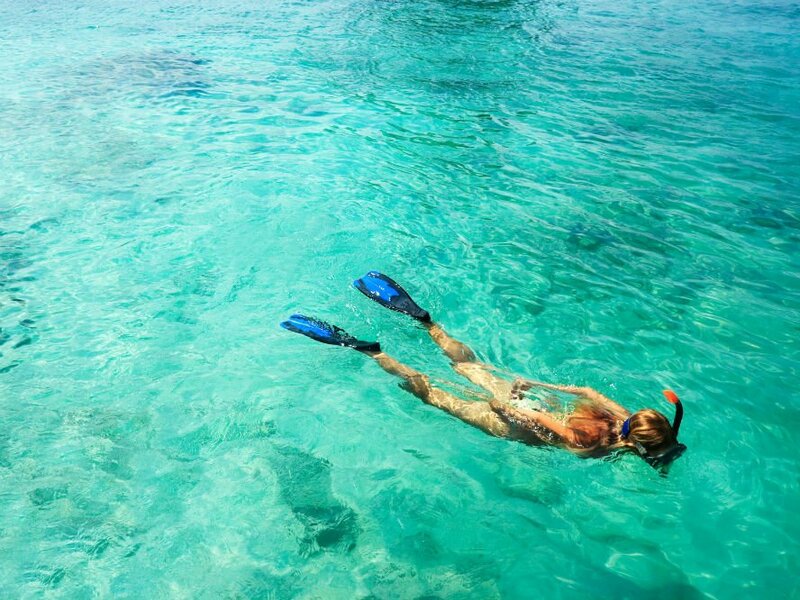 However, despite this you can engage in snorkeling activities for hours without any water getting to your face. There will be no fog and no discomfort if you follow the above recommendations. 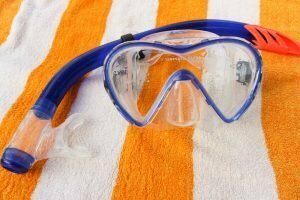 A great alternative in the same price range of this mask is the Kraken Aquatic Snorkel Dive Mask. It provides flexible silicon that is leak-proof with a comfortable seal thanks to the soft and supple silicone of the strap. The skirt molds to the shape of your face and further prevents any leaks with a watertight seal. The tempered glass lenses resist any scratches or shattering and it also provides a convenient buckle for easy adjustment. It has a sturdy build so it can handle pool diving as well as deep sea diving. 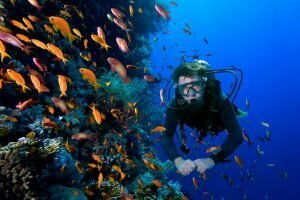 Just like the Scuba Choice Mask, it offers a one window lens for a wide view of your surroundings. The Scuba Choice Scuba Diving Classic Free Dive One-Window Silicone Purged Mask is an old style mask that is actually worth to try. 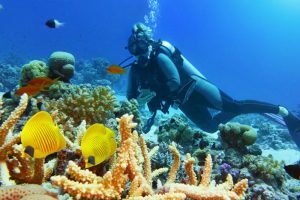 With this kind of model being hard to find nowadays, it’s definitely a great opportunity to experience a classic scuba diving experience that is going to provide you with comfort for hours. With a great set of features, an affordable price, and an easy to use system, this mask can be enjoyed by everyone.